Baby hatches may be common in parts of Europe and Asia, but the first two in the US have just now arrived. Indiana is embracing the boxes that will allow women to anonymously surrender their children, making abandonment safer and easier. The first baby box in the US can be found in Woodburn, Indiana, where the padded, climate controlled container will send an alarm to emergency responders when a baby is deposited, according to AP. There is no word on whether it will be able to tell the difference between an actual baby and somebody shoving in garbage to mess with the authorities. The US has had safe haven laws in all fifty states since 2008. Under these laws, newborns can be surrendered at police stations, hospitals, and fire departments without the mother risking prosecution. Indiana’s new baby boxes will provide for greater anonymity, but their introduction has led to some contention, as critics point out that these fixtures could allow mothers to go without receiving needed medical care. Indiana’s branch of the Knights of Columbus, an all-male, all Catholic charity organization in the US and abroad, is paying for the first 100 baby boxes at a cost of $1,500 to $2,000 each, WRIC reported. The charity makes no attempt to hide its stance on abortion. The Indiana State Council of the Knights of Columbus actively encouraged its member to participate in a “40 Days for Life campaign” that allegedly completely shut down five abortion clinics. In addition to their backing for the baby boxes, support also comes from Safe Haven Baby Boxes’ founder, Monica Kelsey, who claims that when she was volunteering at a hotline, a young woman called and asked for the location of a baby hatch, while refusing to go to a hospital or fire station. As a compromise, her boyfriend took the baby to a hospital. Kelsey stresses that the boxes are appealing because of their total anonymity. 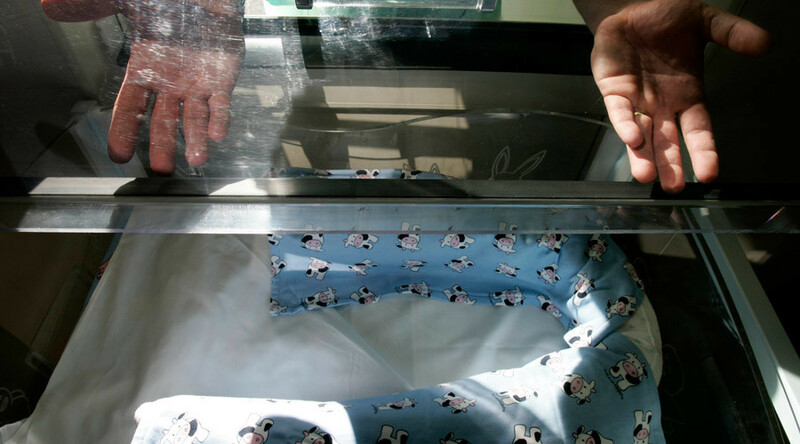 The first baby box was unveiled in Woodburn and the second is already operational in Michigan City, Indiana. Governor Mike Pence signed a bill in March that expands abortion restrictions in Indiana, which had already mandated state-directed counseling that uses information designed to discourage women from having abortions, and imposed a waiting period necessitating two separate trips to a clinic, the Guttmacher Institute reported.